Contact Us at 866-869-3335 so We Can Find the Right North Carolina HVAC Contractors Insurance Protection for Your Business at the Best Price! As a HVAC contractor, you know the fluctuations of the business. Just like changes in weather, your business operations can change just as quickly and you need to be properly prepared to handle any risks that may happen. The good news is that Paramount Insurance Agency is here to help you find the right North Carolina HVAC contractors insurance protection for your business at the best price! It is a critical question you must ask yourself when you are a business owner. Being prepared to handle accidents is just as important as the business itself. Would your North Carolina HVAC contractors business be able to financially withstand the following? What if a customer slips and falls at your business location and is now going to the doctor on a regular basis? What if your very expensive work tools have been stolen? Could you replace them all? 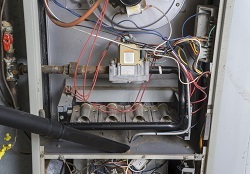 What if one of your HVAC contractors causes an accident in the company van, while on a job, injuring multiple people? Having just one of these incidents occur, can disrupt your entire business that you have worked so hard to build. You can’t afford NOT to have the right insurance protection for your North Carolina HVAC contractors business. Contact us at Paramount Insurance Agency so that our expert staff can custom build the right insurance coverage so that if something goes wrong, your business will be protected. We, at Paramount Insurance Agency, realize the importance of your HVAC business, and are here to guide you every step of the way to customize your insurance needs, protect your business, and provide the peace of mind you deserve! Because Paramount Insurance agency is an independent insurance agency, we will work for YOU, not the insurance company. We will shop your coverages to find the best rate for you to protect your business! By bundling multiple coverages under one big policy, you can save money AND have a custom built insurance plan that suits ALL of your business needs. Paramount Insurance Agency insures HVAC contractors in High Point, Winston-Salem, Greensboro, Charlotte, Raleigh, Wilmington, and all over North Carolina. Call us for quotes for all of your insurance needs including general liability, business auto, workers compensation, commercial property and more. Contact us today so you won’t be left out in the cold! Our expert staff provides friendly service and we can find the right insurance that fits both your North Carolina HVAC contractors business and budget. Call NOW at 866-869-3335 for a Free No Obligation Quote on HVAC Contractors Insurance!